This fall, UVA’s athletics department has been renovating and expanding its production facilities in John Paul Jones Arena in order to meet technical specifications for the new ACC Network—a broadcasting partnership between Atlantic Coast Conference members and ESPN. With the deal, the ACC became the fourth of the five power conferences with its own cable channel, joining the Big Ten, the Southeastern Conference and the Pacific 12. 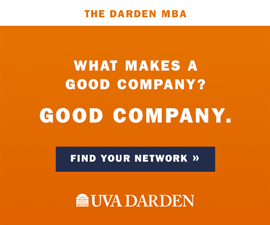 Renovating JPJ, upgrading equipment and adding fiber connectivity will cost approximately $6 million, and the job is the responsibility of the athletics department, says Todd Goodale, Virginia’s senior associate athletics director for external affairs. The changes will allow the University to produce multiple events in-house. “I think what everybody will notice are higher-quality productions this winter and spring,” says Goodale. 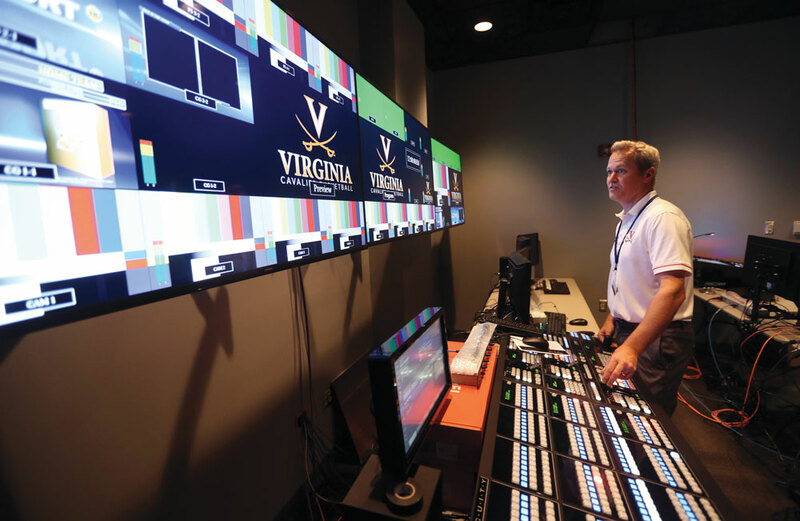 When JPJ opened more than 10 years ago, the facility included two standard-definition control rooms to support the videoboards at JPJ, Klöckner Stadium and Davenport Field. An additional display was added at the Turf Field that has also been controlled from JPJ. 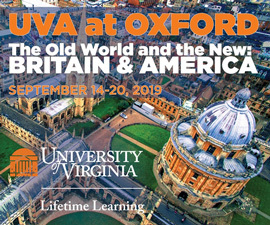 Events for the ACC Network and the in-venue Hoo Vision videoboards (replays of live game action and other UVA-produced videos during breaks and halftime) are separate productions. As a result of the renovations and upgrades, the athletics department is able to produce three events, whether for the ACC Network or Hoo Vision displays, simultaneously. The video services office now houses three HD control rooms. In addition, fiber will connect the control rooms to each athletics facility, including Scott Stadium. Starting next year, Hoo Vision at home football games will be produced from JPJ. In addition to the control-room upgrades, Virginia is turning its Cavalier Team Shop space inside JPJ into a full-time ACC Network broadcast studio. The store will be replaced by merchandise kiosks throughout the arena. With the increased demand for video production created by the ACC Network, Goodale says he anticipates there will be more opportunities for students to gain practical broadcasting experience, and internships could be created in partnership with academic programs on Grounds. The traditional, on-the-air version of the new network won’t launch until 2019, but the digital version, ACC Network Extra, is already up and running. UVA previously streamed games on its athletics website, VirginiaSports.com. Virginia’s non-revenue sports teams are already getting more exposure. “It’s had an immediate impact,” says men’s soccer coach George Gelnovatch. This season, 13 of Virginia’s 16 regular-season men’s soccer games were on some form of the network, compared with four of 16 on ESPN3 last season. “That’s been really great for fans, parents, everybody,” he says.